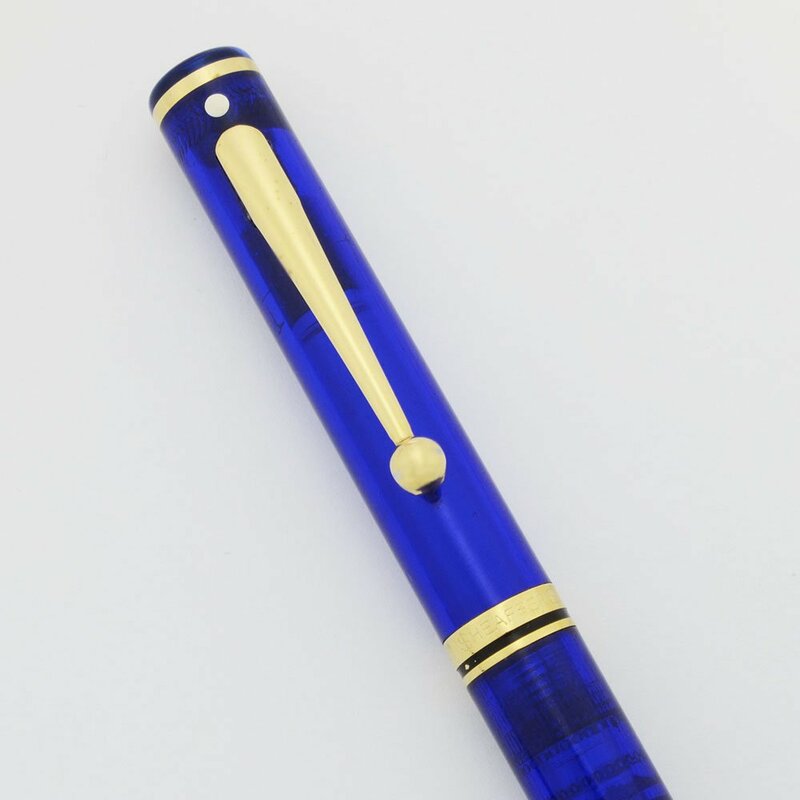 Sheaffer-Levenger Connaisseur ballpoint pen in Mediterranean Blue. Takes Sheaffer ballpoint refills. Very nice condition. Product Name Sheaffer's name for this product line was Connaisseur. They worked with Levenger to create a series of transparent "Sea Pens" colors. This is from the Sea Pens 1 series. This is Model 830. Manufacturer and Year Sheaffer-Levenger, USA -- 1998. Filling System Takes Sheaffer-style ballpoint refills. A working black Sheaffer refill is installed. Color Transparent blue with 23kt Gold Plated Trim. It has the white dot above the clip and a ball ended clip. This is called "Mediterranean Blue". Condition Very nice condition. The pen has light scratching throughout but none of the scratches are particularly deep or eyecatching. The plating is in good condition. There are no cracks.